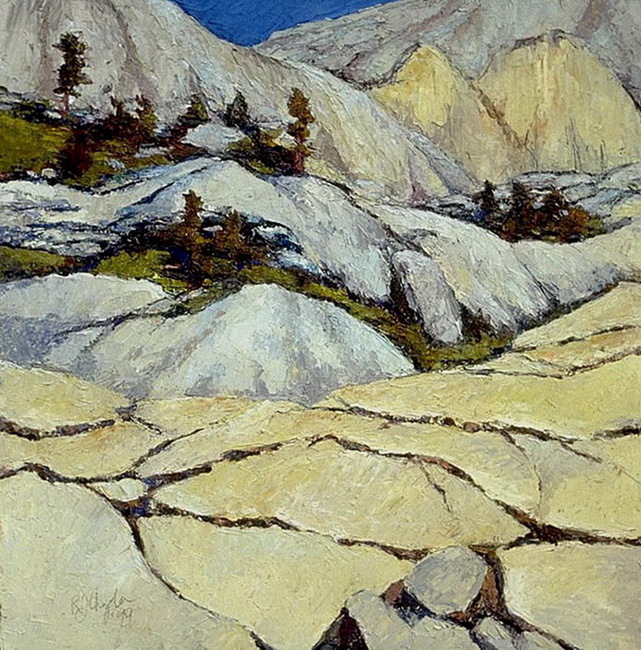 John Muir called the Sierra Nevada the “Range of Light”. This is a land of wonderful diversity. High elevation hikes take you to un-crowded wilderness areas. Lower elevations have oak studded meadows, historic gold rush sites and lush fields of wild flowers in the spring. 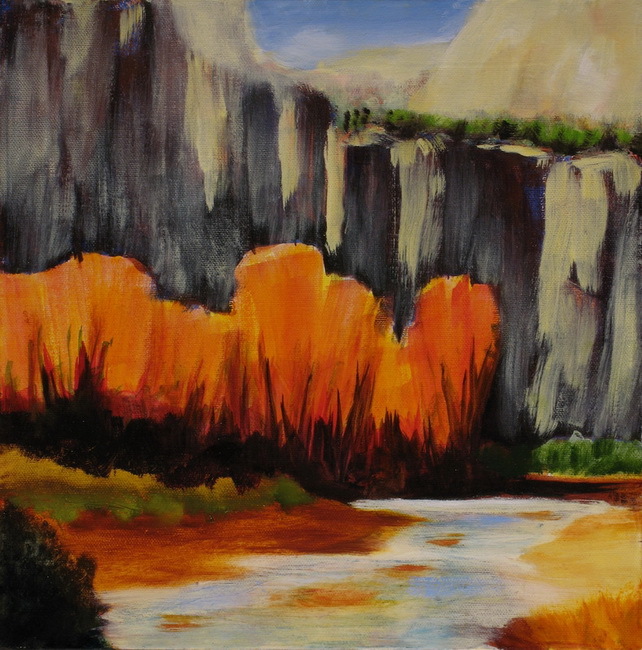 Regardless of the season, Yosemite and Mariposa County offer an ever-changing venue of beauty to inspire creativity. Yosemite National Park is open year round. Some of the best times to visit are in the winter, spring and fall when the park has fewer visitors. Although advance reservations are always recommended, accommodations in and around the park are more readily available. During these seasons there is plenty to do and see, not only in the park, but in Mariposa County. For more information on planning your visit see the links below. Summer is the time to explore the higher elevations. Yosemite National Park consists of over 1,200 square miles and 95% of that is wilderness with many excellent hiking trails. These hikes will take you to areas with spectacular views. There are crystal clear alpine lakes, and gnarled and stunted pines that provide excellent subjects for artistic inspiration. During the months of July and August, wildflowers blanket the alpine meadows with brilliant color. Many different types of birds and animals can be seen. Wooded areas have yellow-breasted nuthatches, white-headed woodpeckers, pileated woodpeckers to name a few, and lucky visitors may see marmot, pikas, coyotes, bear and deer. This is great time to be inspired by the grandeur of the park. This season of Change brings vivid colors, magnificent sunsets, dramatic skies with brooding clouds, and breathtaking light. Night skies are brilliant with stars. In the higher elevations the aspens copses can be spectacular and vibrant with gentle light filtered through their delicate leaves. At the lower elevations, wild grape leaves turn golden and they drape like veils over tall heritage oaks. The temperatures will also be cooler and the Yosemite Valley less crowded. It is important to note, that Yosemite National Parks is open year round; however, the higher roads over Tioga Pass and Glacier Point Road are usually closed and inaccessible by November due to snow and icy conditions. The Yosemite Valley itself transforms into a “winter wonderland” of quiet beauty. Trees are blanketed in dazzling snow. Ice crystals sparkle on dried leaves. It is a time of magic when you can explore subtle shapes and dramatic textures. Wildlife like bobcat, coyote, deer and fox will also make their way out of their dens during this quiet time of year. For the active visitor, Yosemite National Park offers downhill and cross-country skiing as well as snowshoeing. At the end the day, you can wrap it all up with a delicious hot meal and beverage at the concessions that remain open through the winter months. Spring always arrives with much visual fanfare. Hillsides throughout Mariposa County and through the Merced River Canyon are covered with orange poppies and purple lupines. Redbuds line the roads traveling into the park. In late April and early May, the dogwood bloom in graceful beauty along the Merced River and in abundance around Yosemite Valley. The waterfalls are at their best, booming with high volumes of water and ice from melting snow above. This is one of the best times of the year to visit the Yosemite Valley and Mariposa County. Less crowded than in the summer months the land comes alive.